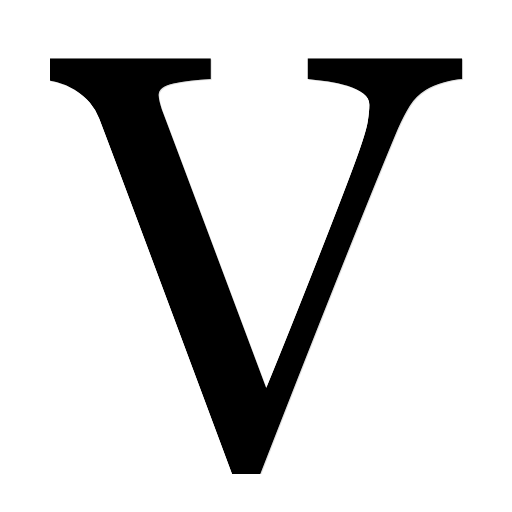 Michael Vitali ghostwrote this book about retirement plans directed to financial advisors for the president and vice president of Kemper Investments, now part of Deutsche Asset Management. Designed to be a nuts-and-bolts book of background briefing and practical information for the professional, Opportunities was a first in creating an action-oriented full-length text for this unique market segment. 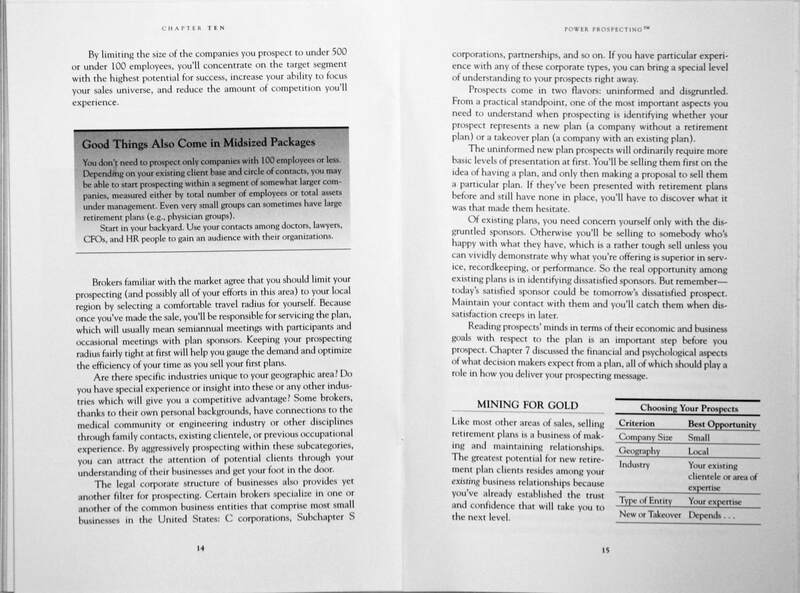 Seventeen chapters and three appendices covered practical topics such as the myths of 401(k) marketing, creating proposals that sell, and servicing the plan through an ongoing program of investor education. 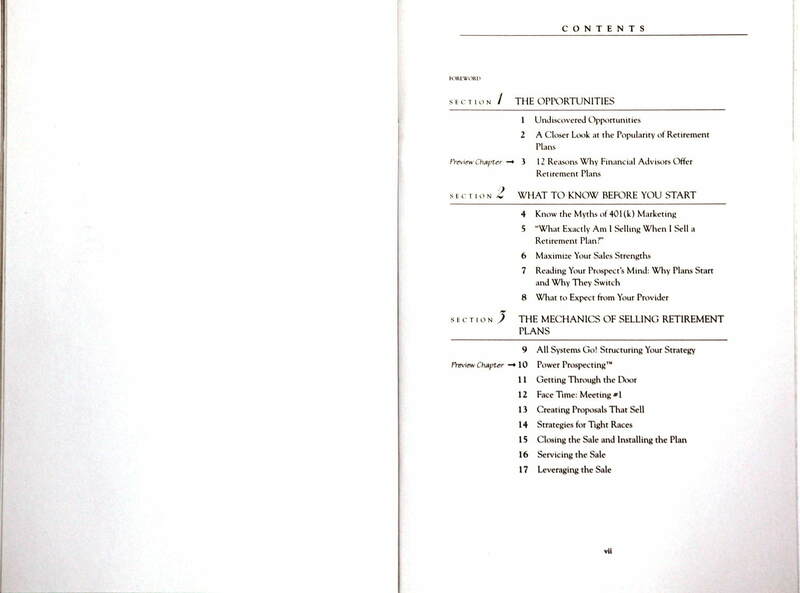 Each chapter consisted of text built around some organizing principle (e.g., “12 Reasons Why Financial Advisors Offer Retirement Plans”), followed by a bullet-point recap. Tabular, graphic, and other sidebar material was scattered throughout the text, including several action-oriented takeaways that readers were encouraged to use (such as sample texts for prospecting letters). The book was designed to kick off the speaking tours of the two authors, whose input into the text consisted of interviews and conferences. 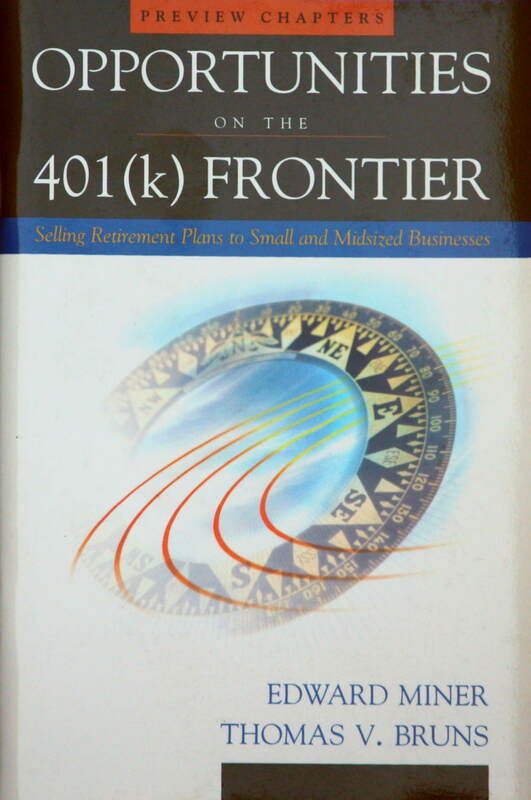 The book was commissioned by Kemper to reinforce its then-dominance of the 401(k) market nationwide.